THIS puppy is one who has seen the signs — literally. 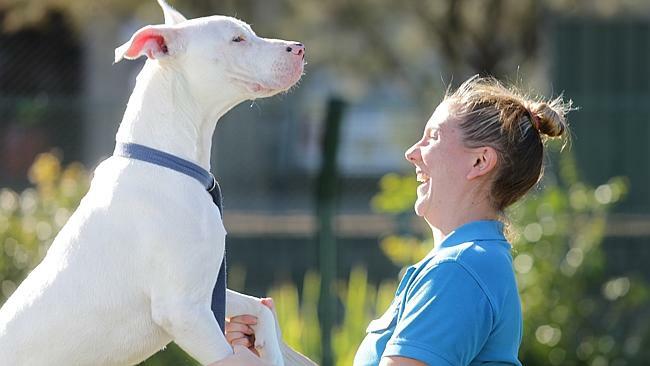 Born deaf, pure white great dane/staffordshire bull-terrier Hurley has been learning sign language under the care of the RSPCA. 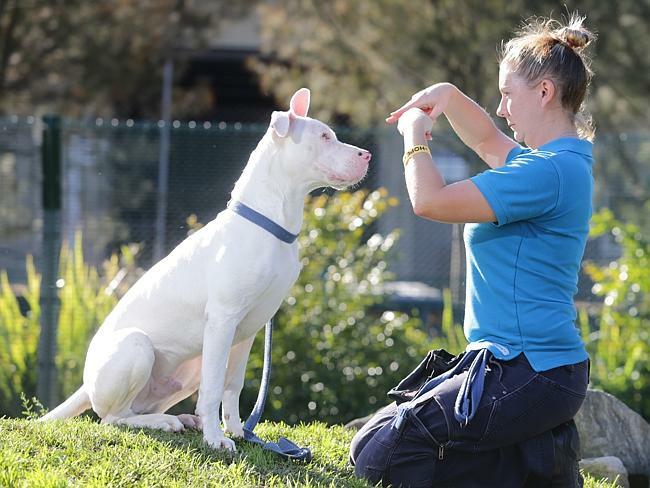 Since arriving at the Yagoona shelter, Hurley has learnt a number of key behaviours using sign language and is now looking for a family who can help him continue learning new skills. Staff at the shelter said Hurley is an affectionate pooch, who can sit and follow basic commands through sign language. White Great Danes are typically deaf because of a lack of pigment in their middle ears. But while he’s proven a good learner, Hurley’s sign language still needs some work. 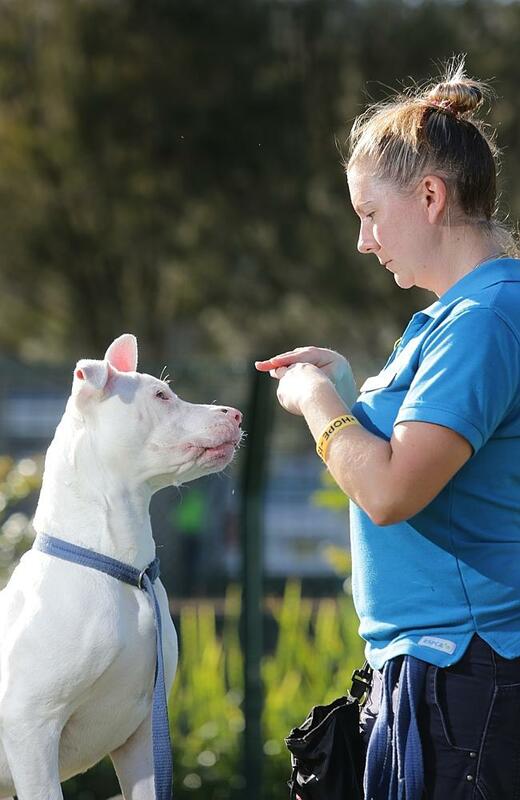 The RSPCA’s behaviour team is keen to support a family interested in learning sign language to keep Hurley company at home, well exercised and behaving positively for life. He would prefer to be the only pet, with older children and adults being ideal companions for him. Hurley is fun-loving, friendly and affectionate, and he is ready to find his home — preferably with 2m fencing so he can play safely outside. A conflict of interest between activism and animal cruelty prosecutions has compromised the reputation of Victoria's RSPCA, an independent report has found. The review into RSPCA inspectors — by former Victoria Police chief Neil Comrie — was launched after 23 horses were found dead at a property in Bulla, in Melbourne's outer north, earlier this year. It found there had been an increase in horse welfare complaints in Victoria and inspectors were overworked, underpaid and inexperienced. 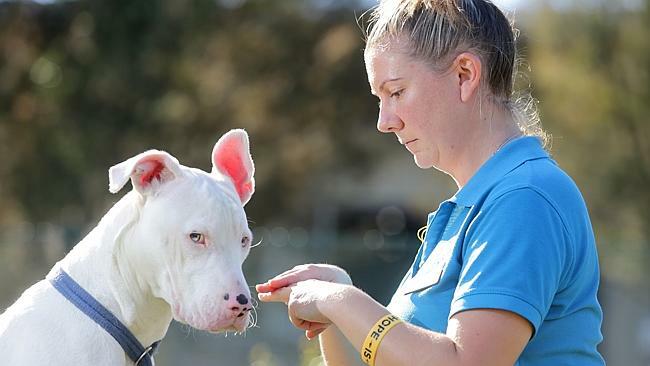 RSPCA Victoria chief executive Dr Liz Walker said all 22 recommendations had been accepted because the organisation had not been performing as well as it should. She said a new case management system would be implemented. "We need to make sure that our investigation approach is as contemporary as it can be and … that when we actually get reports that we triage them appropriately," she said. "And have all that intelligence and all that analysts' work done on those cases in advance of our inspectors being sent out." The review recommended a registration program for horses, similar to that for dogs and cats, as well as on-the-spot fines to reduce cruelty. Dr Walker said changes to the organisation could be made without extra funding. "There's a lot of reports that come through to us … around about 50 per cent of them actually don't need to go directly to our inspectors. They need to be referred to other agencies, such as local council," she said. She said reports of animal cruelty were increasing, but of 12,00 complaints last year about half were over basic issues such as the provision of food, shelter and water to animals. "Then there's an awful lot of cases that actually need education and resources to help people better care for their animals," she said. Dr Walker said the organisation would continue its advocacy against animal cruelty but would no longer engage in public campaigns over existing laws, such as duck hunting and jumps racing. She the "tone and emotion" of the campaigns had made the work of inspectors more difficult. "We certainly understand that over the past few years there have been issues which we have campaigned on, and their tone and the way we have done that definitely impacted on trust with our stakeholders and we apologise for that," she said. "It's very challenging for our inspectors to be out there enforcing the law … it puts them in an untenable position to have to do that whilst the organisation that employs them has in the past openly and very emotionally and stridently advocated against the existing laws. "So it certainly means we'll be continuing to advocate very strongly for improvements in animal welfare, it's really about the tone and how we do it." Melissa Blaikie is feeling angry. Big shout out to the RSPCA in Orange....NOT!!!!! after putting in a complaint on Monday re a starving horse not far from home and giving them the exact address, I drive past today...yep, it's dead in the paddock!! I have not received a follow up call or anything since making my initial complaint. DISGUSTING. The RSPCA will NEVER want to ring me or Mum for a donation!! I understand they are probably under the pump with the situation out here. But here is the news, it's your job!! "For all creatures great and small"....what a joke!! When their vet says a wet nose in a dog means it is sick so they can just confiscate them. They lost me long ago. Found out they put down a distressed dog who was due to whelp the following day as she could never have the puppies. When they were the ones to distress her! Hope they got the puppies out first but I don't know. This is NSW though not Vic. They complain about how a person is living with too much stuff (ie hording) in the country. Don't they know you don't throw things away in the country. You reuse and reuse everything out of them until there is nothing left. Where is the caring for all the farmers with no money for feed having to shoot their animals. Our society is so judgemental today. People need help to help the animals. Might point out the farmers are pretty well starving also. All the money is in the land which the bank holds over them. The polititians aren't helping either. THey have to look at the major changes we regularly get in Australia. Drought and flood. Surely we are intelligent enough to find a solution to the lack of water in the outback at least. But it would cost money and they can't put road tolls on that. But it would save money in the long run so where is the long term thinking in any of our pollies today. Also they ignored being told these animals had names and sold them. Some were found by a lady who knew the breeder and got in touch with details. The lady gave the names and the dogs have gone from lost and bewildered to answering and understanding again. THe breeder is just so happy to know they are safe and happy. The RSPCA just didn't seem to care about the dogs welfare at all. And I shouldn't feel too happy with dogs at the moment. Mine just pulled me over on a walk. They decided to go in different directions at different speeds and I went down hard. Must have hard bones as seem to have got away with a sore check and knee and nothing broken. They got a short walk as a penalty. That's probably against the RSPCA's law but my face hurt and lucky for me they came back when I called as I had let go of the lead. Get a walking machine furious, that'll teach em. No smells on a walking machine Carioca but they came back when I called them so they were good for doing that. 2 ladies in hospital the other week when I had my hip replacement. Both with broken hips from falling over/being pulled over by their dogs. Watch it, Furious. What did they replace your hip with AA? A Ferrari or a Porsche perhaps, or a Maserati maybe......your not a ford falcon girl are you? Yes No Maybe gotta give the RSPCA as much support as possible - can only do so much with limited resources and fighting for every inch in my experiences with them ... Hard job made harder by mongrels trying to flaunt the system for profit ... Some heartless pricks out there!! It's not the RSPCA's job to manage farm stock, they're already too thinly spread as the post above suggests. They make plenty of mistakes, advising farmers of their duties isn't one of them. The RSPCA have funds to do more than they do. Do a search and see what funds they have . Lots. I dont support them at all. Because of too many things I have seen . I am not stingy, and i donate to charity, but not to them. Advising farmers of their duties ???? C,Mon Blinders ! fiddlesticks,,,,have you got out there and seen what farmers are battling at present !! I personally know of 3 farmers who went out and shot all their starving animals, and used the last bullet for themselves. The RSPCA could loosen their purse strings and help a bit. So could the Guvnt. I am actually a ford falcon ( old ) girl,,,with a spoiler,,,I believe its a titanium hip , so the Doc tells me. Anyway, just give me a few more weeks and I will be set for a sprint up the straight at Randwick. That's ok, blindmice just hates me for some reason, and looks for any excuse to try and do me over, obviously cannot read between the lines, and has no idea what the rspca is even capable of doing. They would sooner throw charges against the farmers than help them. Not only that, the rspca actually have to be DOING something to be spread thin..... they use that excuse every single time they are caught out on not acting on a case. Read on another forum a lady rang up and reported a case in nsw last week, told them the exact address, and told them it was extremely urgent, like an emergency. Nothing was done, and she went past 4 days later to see the horse dead in the paddock. Its just my HO, but they grandstand, and show up for big , out there, cases. Yes, I know they do some good stuff, but with the funds they have, they should be doing a lot more. Hire some more inspectors for starters. The ground roots people are doing good things, but they are spread too thin on the ground. The top people need to let the purse strings out, and get more inspectors out to the animals in need. And it would help if the justice system/courts made people pay up their fines and expenses,,,,like all the money Kim Hollingsworth owes in fines and court costs, not to mention the care of all those starving horses that the RSPCA have been caring for and feeding. yes and charging a breeder for innoculating all her confiscated dogs (when all there shots were up to date - if they had asked also documented). That is just looking for money or wasting money as the case may be. And big noting themselves for shutting down puppy farmers. People who play with their dogs while they look after them. Oh they also said three were underweight. Well those dogs got mince and fish products each day except the day they raided when they came early before the cleaning and feeding had begun so they missed their treats and got scared witless. I've not often seen a fat poddle and one had a damaged front leg which had to be treated carefully and weight kept off! Did you know they have fired alot of staff and lots have left. Not all are happy with the way the RSPCA is going. There is work for them in spades and work which needs to be done but its not on their agenda. And mag wheels, and a dice hanging from the back window!...sorry, being light hearted on a very serious thread...I wouldn't bother with the RSPCA, under freedom of info act I would like to see their salaries and the breakdown of monies received and distributed via donations, I don't trust them....and we got ourselves a rescue dog many years back, not from RSPCA, but Gracie Street.......his legacy and memory lives on, so my donations go to independent caring and responsible organisations. Agree, part(s) of the organisation appear to have plenty AA, while local agencies struggle. Don't know what their mgt structure is but it needs a bit of a shakeup. Animal welfare doesn't stop because of drought, nor do duties of owners, as tough as that may be AA. No-one with an ounce of humanity in their bones doesn't acknowledge the huge emotional and economic stress drought has on many primary producers - and not just animal farmers. The NSW govt and fed govts do plenty and are apparently doing more. Waving the finger at the RSPCA in this case is complete rubbish. Might as well blame the National Party who claim to represent country folk. Your post was unadulterated rubbish, as is your last sentence here. Instead of attacking the poster 3bm, could you expand with reasons for your opinion? 3blindmice yes animal welfare doesn't stop. But farmers are not city dwellers. Well the farmers I know aren't. And my family are mostly down the south coast of NSW the wettest place in Australia. But next the goverment never does anything which could go into votes without letting the electorate know. So yes they may be doing something but I haven't heard anything about trying to sort out this dry or wet problem with out food producers. The famers money is in the land and his livestock or crops. Crops have failed. They have put away two years of good growth worth of food and used that up. THey have sold any surplus stock and kept there core the breeders for any future which they can egg off the land. They have borrowed amounts like $100,000 of the bank to buy food and feed these stock but the fodder available is drying up. So then they buy grain feed - not as good for staving animals but better than nothing. Then they get wrapped over the knuckles by people for not feeding their stock right. And yes AA is right farmers are shooting their stock and killing themselves. They don't see a way out except to walk away and have to then have no house either. So why can't the government sort out a pipeline from our desanilation plant to the inland dams and get the water out there. Stop this endless mindless cycle before we loose any more workers on the land. You can't replace them with the softer city dwellers. Cambodia did that when they wiped out millions - sent the rest to work the land. Some can but most can't live that lifestyle. And the farmers are starving also and working harder than before hand feeding their stock. The city has to help. You and I have to help. But more from the government who should be working on this issue as something which can and should be overcome after 200 years of similar times in the country. Get over the us and them. Sort it out now. Make our governments work instead of argue and point their fingers at each other. Peoples lives depend on it. And when the help comes the animals benefit first. Oz is basically a desert continent bar much of the coastal areas & whilst I see short term gains in piping vast amounts water from A to B, I can't imagine it being viable for long. Ecosystems & waterway health would fail as will the underground aquifers eventually dry up. Farmers must become smarter with the help of scientists to counteract long periods of drought & short ones of flooding. I attacked the original comment Gay not the person, AND I gave a link to what is actually happening to show its vacuity. This bit of rubbish needs no elaboration surely: They would sooner throw charges against the farmers than help them . It's a scandalous slur on the organisation and its workers. A basic understanding of the RSPCA's role might tell anyone that. I'll expand when racing's over. I'm not talking about floodwater Gay. Just a plant which Sydney built before the dam filled up. We could use that water when times get too tough. Surely that is thinking smarter also. Farmers did the work in the good seasons - they put aside vast amounts which just didn't touch the surface this time. Too many dry areas and just not enough feed to go around. As I said before appart from getting a film company to set up something like the hobbiton set in New Zealand and getting vast amounts of tourists. Or setting up wind or solar farms. They don't have many ways to turn. They pipe water from Perth to Kal, or Kal wouldnt have any. They turned back the rivers of the Snowy Mts and got a 2 for 1 deal of electricity and the inland irrigation. Why cant they collect and pipe water across the great divide instead of letting it all run out to sea ? Hell not so long ago we had 8 inches in 24 hours,,all gone into Newcastle Harbour in the blink of an eye. I have been told that water is being diverted from Chichester, which is 100% capacity at present, over to the upper Allyn and onto the feeders of the dam near Singleton. Which makes sense, instead of letting it run out to sea at Newcastle. It gets up my nose no end to hear Gladys and Co going on about millions for a new stadium at Parramatta. How many bloody football stadiums does Sydney need How about some of that money being turned to a water project that will benefit those that live outside the city ?? What about using some of the defence force trucks and personel to transport water and fodder ? All those vehicles and people sitting around waiting for a war !! Freight costs alone for fodder are crippling farmers. Even tho many truckies now are doing it as cheap as they can, they still have to maintain their vehicles and fuel them, so they cant do it free. Most fodder here in NSW is now coming from W.A. for heavens sake, as there is not much left here in the east. Why not load up a train, or a dozen trains, with fodder and send it over ? Why isnt the so called leaders thinking of useful ways to help, instead of worrying about football stadiums and stupid ugly "art works " to stick in parks in Sydney ? Like Furious says, pretty soon we wont have any sort of crops home grown and will be forced to buy it from overseas. You cant keep increasing the population if you cant feed them !!! Anyway, back to the RSPCA. The management side need a dam good shake up. And it must be very disheartening for the ground staff to see the courts let people off with a slap on the wrist for some of the cruelty cases they deal with. The page you are looking for, http://www.abc.net.au/news/2018-07-26/plea-for-bullets-to-put-down-skeletal-drought-affected-stock/10035248%C2%A0 cannot be found. It might have been removed, had its name changed, or be temporarily unavailable. Gay if you go to Weatherzone ( like I do lol) down r/h/s news bits hit arrow on right and that story will come up, regarding rspca and warning to farmers. The harsh reality of drought continues to be felt across New South Wales, with some farmers claiming a shortage of bullets to euthanase emaciated stock. It is a scenario repeated across much of the state as farmers try to source feed elsewhere. In the Hunter, sheep and cattle graziers are offloading stock at a rapid rate, while others are shooting dead those deemed too weak to be transported to market. Mobile butcher Drew Shearman told the ABC he had been working around the clock trying to help farmers. He said one recent visit to help a farmer was shocking and dramatic as he drove deeper into the barren landscape. "As I took the drive out to a farm I have visited many times, before I knew this time was going to be different," Mr Shearman said. "It is quite dramatic how the landscape has changed in the area in the last 12 months. "Usually when I call my friend at the farm I ask him 'is there anything I can pick up for him on the way?' Usually it's a length of steel or a special tool, a tube, or liquid steel. "This time the request was simply bullets "¦ he had five bullets left in total "¦ the rest had been used to euthanase injured or sick sheep." 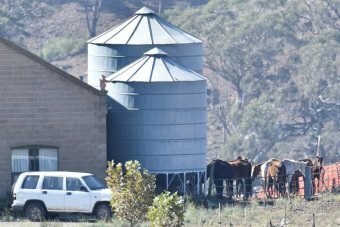 Animal welfare group RSPCA said farmers needed to adopt strict protocols during drought. It has a position paper on drought policy and gives farmers guidelines on how to act. "At all times, animals must have access to good quality drinking water, be provided with shade, and be able to shelter from extremes of weather," the RSPCA said. "It is unacceptable for animals to be allowed to starve to death or die of thirst under any circumstance." It said that if there is any doubt as to the ability to provide animals with their needs "the decision to agist or sell must be made sooner rather than later and well before the animal is too weak to be moved". "Daily monitoring is required to ensure sick or weak animals are quickly identified, treated or humanely killed." The Upper Hunter candidate for the Shooters, Fishers and Farmers Party, John Preston, said without extra drought assistance in areas like the Hunter, the State Government could have an animal welfare crisis on its hands. He said the drought was a national disaster. 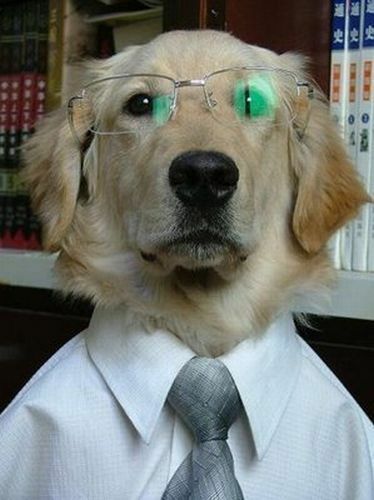 "It is animal cruelty on an industrial scale," Mr Preston said. "It is a financial catastrophe on an industrial scale as well. Remember, farm security is food security and food security is national security. "The National Party and the Government are placing this state's food security in jeopardy." An executive from the industry lobby group NSW Farmers has warned that rural towns like Walgett could go bankrupt if the State Government did not do more to tackle the drought. Farmers are hoping the Government will buckle under pressure and announce help with freight subsidies on the back of their annual conference in Sydney this week. Merriwa-based executive Chris Kemp said the cost of transporting fodder for stock is too high for most farmers. "If this drought keeps going we're going to need a lot of help from the Government," he said. On Monday, NSW Premier Gladys Berejiklian left the door open for reintroducing freight subsidies for farmers affected by drought. "I do want the community to know that this is a top of mind issue for me personally and also for our government," she said. "I've been and witnessed the hardship that many of our communities are facing and I appreciate what they are going through," Ms Berejiklian said. "I've always said if there is more for us to do we will. We have changed the loan arrangements to make sure farmers can now get interest free loans for seven years." In this year's state budget, . The package covered low interest loans, mental health support and kangaroo management. There was also $250 million to go into the farm innovation fund, and farmers will be able to access one-off loans of up to $50,000, which will be interest free for seven years.